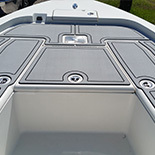 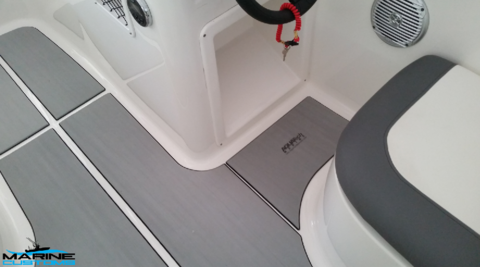 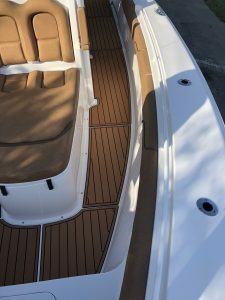 Our Bayliner Element e16 non-skid kits provide a quick and easy upgrade alternative to the traditional non-skid decking. 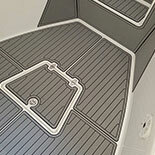 Here we have a Dark Gray over Black 7mm marine decking kit we did for our client, Aqua Tech Marine. 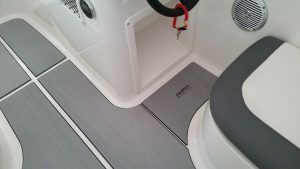 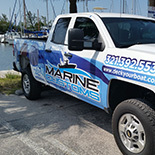 We also provided some custom laser engraving for Aqua Tech Marine at the helm mat area which came out looking great as always.